Posted on Tuesday, August 22nd, 2017. Don’t believe me? Check out the benefits of eating slowly. Eat less = easier to get caloric deficit! And we’ve all heard that it takes about 20 minutes or so for your stomach to communicate to your brain to stop eating. If you scarf down a meal, you won’t know you’ve eaten too much until it’s too late! You might even go back for seconds when your first helping was more than enough. Eating slowly helps your body tell you when it’s had enough. 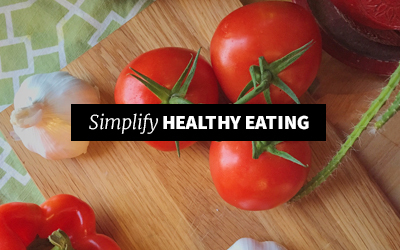 No matter what you eat, stopping before you feel full is an effective way to lose weight. Here are some benefits of no longer eating until you’re stuffed! Eat less = easier to get caloric deficit, which is crucial for weight loss! 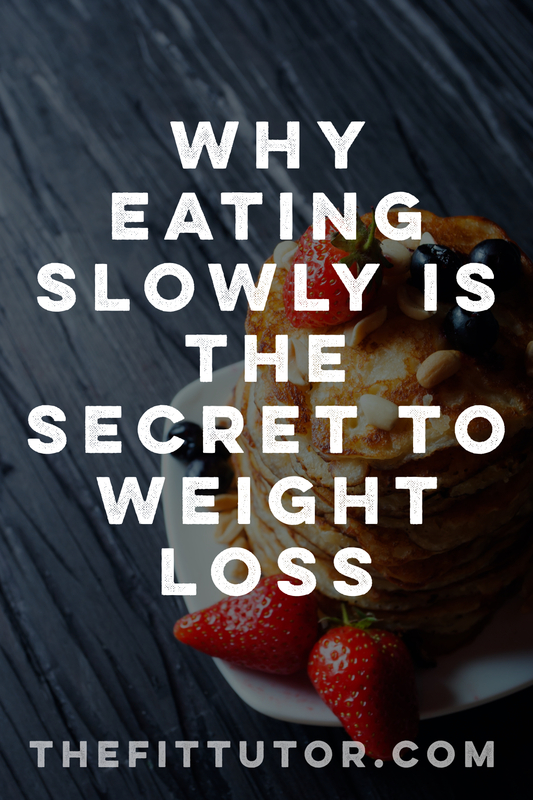 How Can You Eat Slowly? 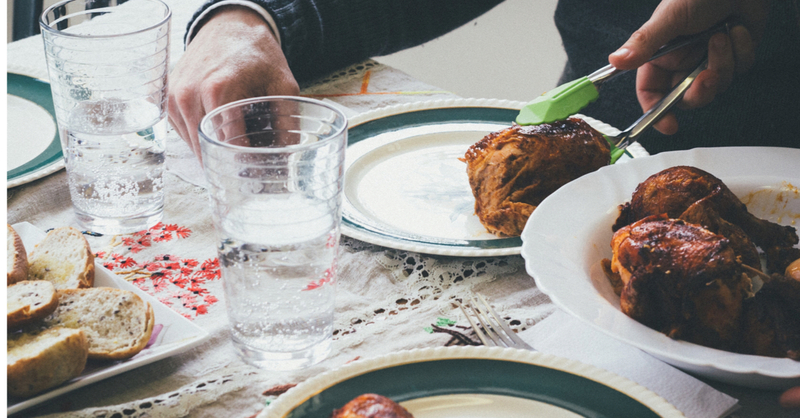 Watch the clock: it should take you about 15-20 minutes to finish a meal. Work your way up to this: if it takes you 5 minutes to eat now, shoot for 8 minutes, and continue to work your way up. 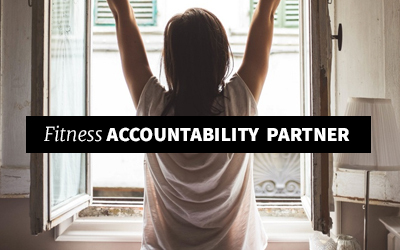 Designate something as a reminder where you eat- whether it be a new bracelet you wear or something you set on your table to remind you of these new habits. Ask yourself before your next bite, “Am I truly physically hungry?” If yes, then take another bite! Research shows that if you reduce the number of bites you take in a minute by half, you’ll consume 40% less calories! Try counting bites if that helps you! But I’m Always in a Hurry! This might not work for every job or stay at home mom life, but you can still chew your food well, pause between bites, and work to correctly portion your food. 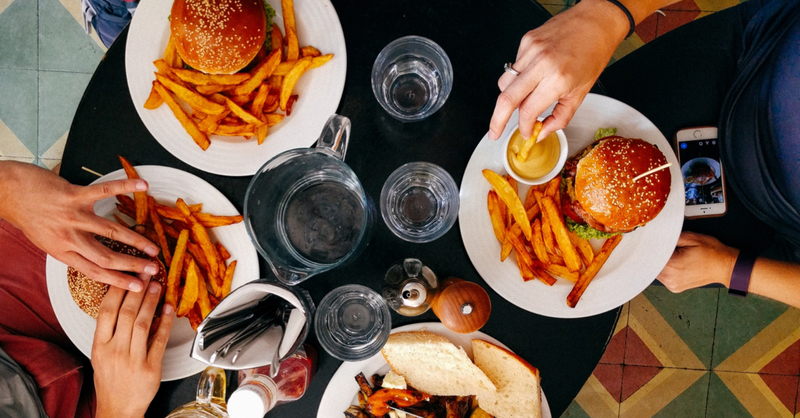 Buying portion control plates and gauging fullness during and after meals can help you to eat a healthier amount, even if you’re forced to scarf down your meal for whatever reason. Or grab a meal you can pace yourself with on the go, like a healthy smoothie! But What If I’m Hungry? And if you’re worried about being hungry, guess what! Snacks are OK! 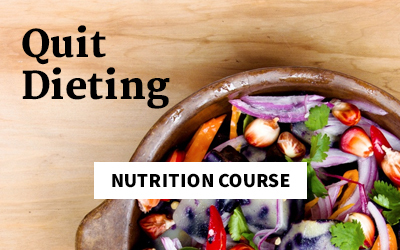 Learn how to eat right by taking my Nutrition Course! It empowers you to eat the right amount and the right foods for your body without ever needing to diet again. 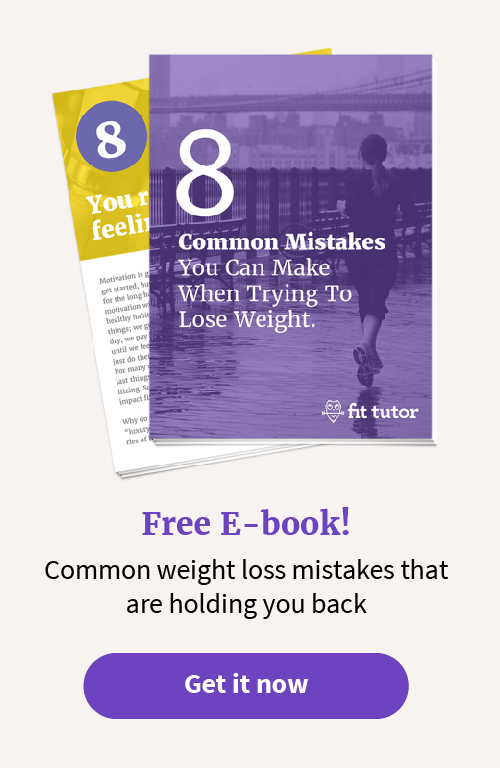 It will teach you how to eat so you rarely get hungry, and you can check out these foods that keep you full while you’re at it! Dare I make the bold claim that eating slowly can help with weight loss because it can reduce your stress levels? If you’re willing, make eating a meal the only thing you do at that time. Think about what you’re doing: be present in the moment, and think about what you’re eating. You’ll be more satisfied, your heart rate should slow and stress can temporarily subside. Mindfulness has shown to reduce stress levels, and it can be as simple as taking a 10 minute lunch to do nothing but eat, think about your food, and be thankful for it! And guess what? 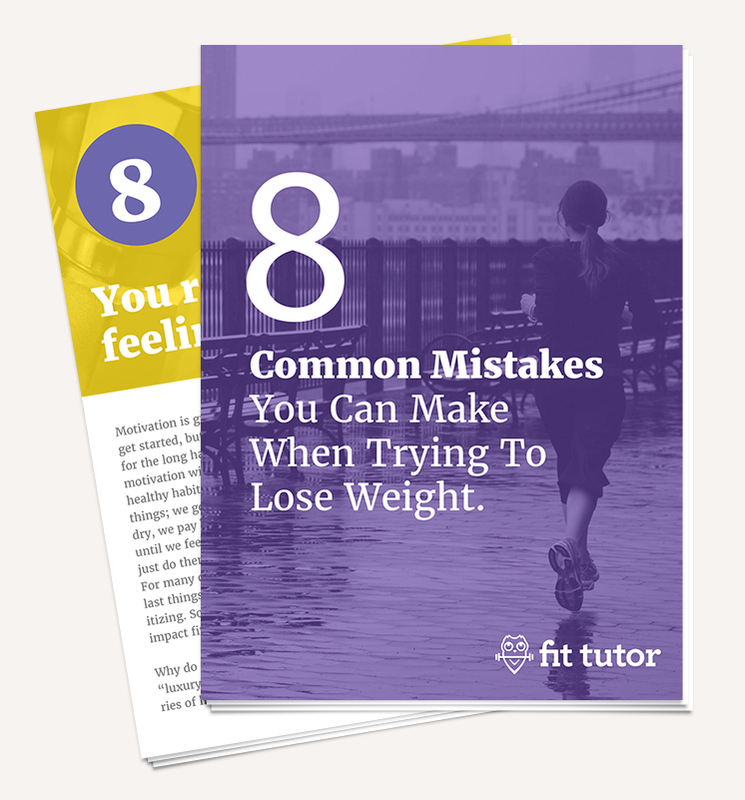 Fit Tutor memberships include not only nutrition coaching and help with weight loss, they also include accountability and workout programs you can do from anywhere. Check it out! Proud of you, friend. Give this a try and let me know how it goes!